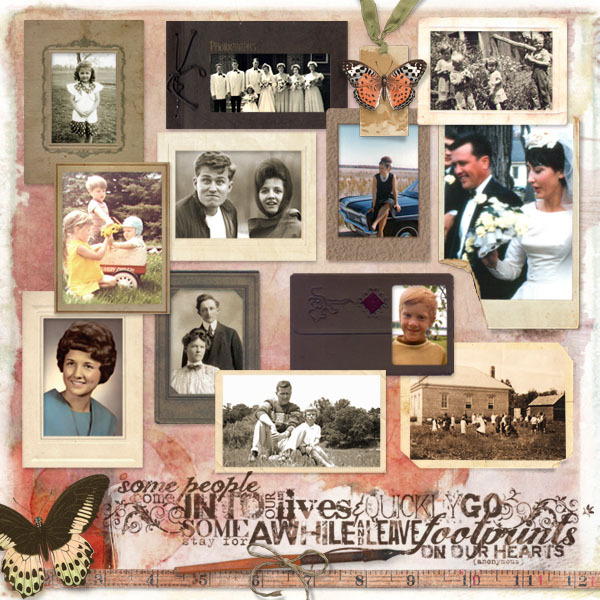 Build beautifully framed and adorned pages in minutes with our Scrap.Frames series. 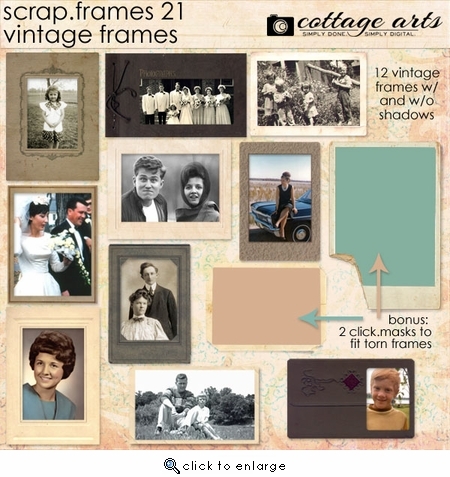 This set comes with 12 different vintage frames for you to drag onto any paper for a quick and beautiful page. Includes each with and without realistic drop shadows so 24 total. Sized 5 to 9 inches at 300 dpi. Bonus: Includes two Click.Masks for two torn frames to fill more easily. 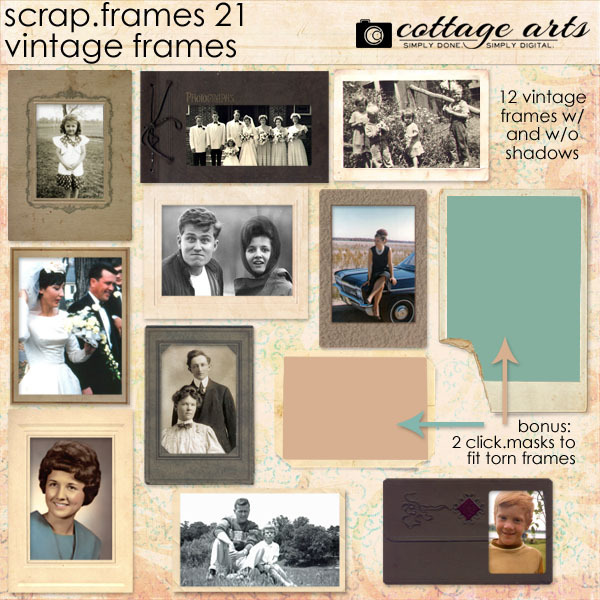 Also includes links to 3 different tutorials for using Scrap.Frames and Click.Masks.